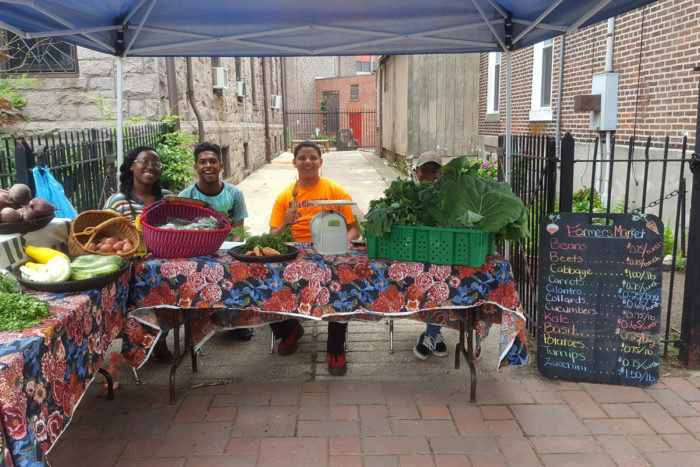 Eco Interns, a teen-focused entrepreneurial program in Southern New Jersey, offers job training and education in community gardens and farmers’ markets for an underserved urban community. 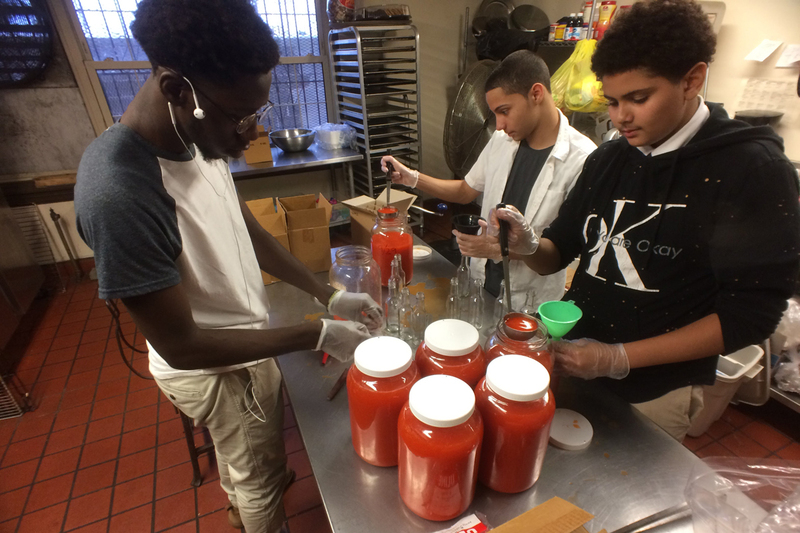 Last fall, a half-dozen teenagers from the Southern New Jersey city of Camden brought hot peppers they’d grown in an urban garden to a rented industrial kitchen. Donning latex gloves, they de-seeded and chopped the chilies before adding them to vinegar and salt. 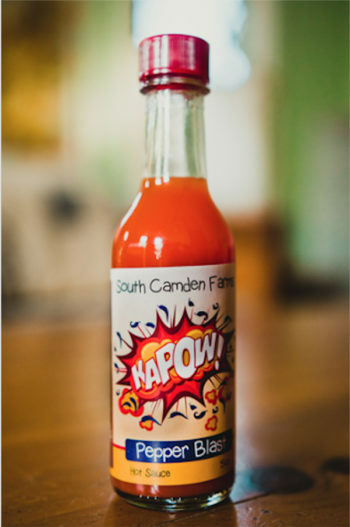 A few days later, they processed and bottled the resulting product into their own brand of hot sauce, Kapow! The group is part of a teen-focused entrepreneurial program called Eco Interns, offered by the Camden-area Center for Environmental Transformation (CFET). 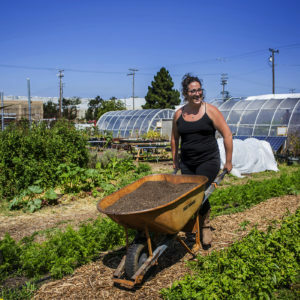 The mission of this nonprofit is to create a sustainable, healthy source of fresh fruit and vegetables—through community gardens and a farmers’ market—for an underserved urban community, while offering job training and education with a focus on meeting environmental challenges. The interns do everything from picking and preparing the peppers to processing and selling their hyper-local, all-natural hot sauce. And they’re paid a competitive hourly wage to do so. 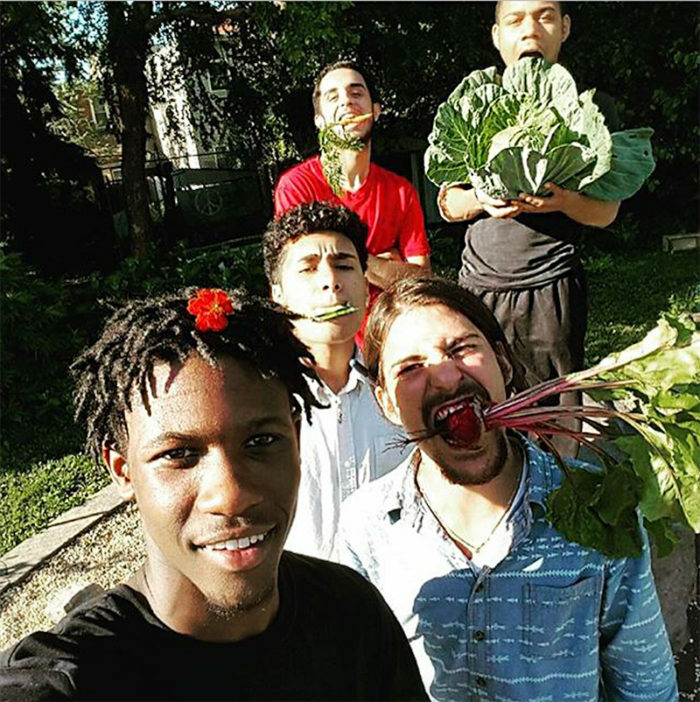 In the early stages of the annual summer program, about a dozen interns work in one of the organization’s urban gardens, cook nutritious food, and run a stand at a weekly summer farmers’ market. The garden has both raised and in-ground beds, a greenhouse, a beehive, and a fruit orchard, all tended primarily by the teenagers. The inaugural cohort of teenagers conceived of Kapow! three seasons ago from the ground—or garden—up, working with a designer and small-business consultant to get the product into the hands of customers. During the first year of this entrepreneurial enrichment program, which takes place after the summer Eco-Intern program has ended, they made and sold a little more than 100 bottles; in 2017, that number rose to 450. Bottles of Kapow! are mostly sold at CFET events, and through people and organizations that reach out to the group directly. Recently a representative of Subaru came across Kapow! at a CFET event and ordered a few dozen bottles to use as corporate giveaways. All of the proceeds are invested back into the program, where they help pay for additions like the recent beehives that CFET has acquired for its gardens. Participants learn much more than how to produce a condiment; they gain experience with every aspect of developing and building a small business. The initiative provides not just diverse job training but also nutritional education and a source of fresh, locally grown produce in a region labeled a food desert for its lack of access to fresh food. CFET grew out of an effort by parishioners at the nearby Sacred Heart Church, who were so moved by volunteer work they had performed in New Orleans after Hurricane Katrina that they sought to create similar change in their own backyard. The entrepreneurship program that developed Kapow! began with the help of a grant from New Jersey’s Office of Faith-Based Initiatives as a way to extend CFET’s efforts. As the program grows in size and popularity, community groups say local nutrition and food security is improving and area youth are better prepared for higher-paying jobs and further schooling—opportunities that long felt out of reach in this community. 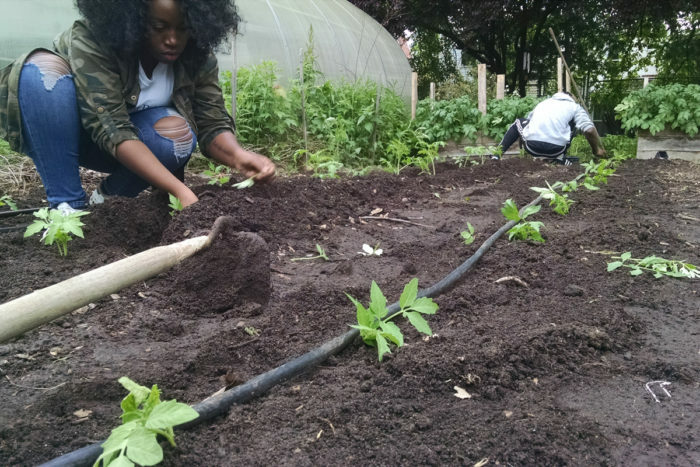 In addition to making Kapow!, CFET manages urban garden spaces around Camden that include community gardens, fruits orchard, and a plant nursery, and offers gardening programs to younger children (called Garden SEEDS). The decade-old CFET is located in the city’s Waterfront South neighborhood, a mix of residential and industrial areas where shipbuilding was once the biggest industry. Throughout Camden, more than a third of the almost 75,000 residents live in poverty, compared to the United States’ 12.7 percent average poverty rate. And whereas 14 percent of Americans nationally receive federal nutrition assistance programs, 65 percent of Camden County residents are eligible, and studies have shown that there are many food-insecure families in the city who don’t qualify for or receive SNAP. In response to the widespread food insecurity and the limited job opportunities available for young people, CFET chose to focuse on teenagers. Participants have the ability to work their way up from an eco intern to a senior farmer, at which point they can take part in community food justice discussions, lead workshops, speak at Earth Day events, and collaborate with high schools and colleges that now come to Camden for service learning and to learn about food justice issues. In addition to benefitting participants, the program serves the local community. The farm offers growing space and a green oasis for the urban neighborhood. The weekly farm stand the teenagers run provides one of the few sources of fresh produce in the area and the kids are allowed to bring home any excess from the week. Rutgers researcher Kate Cairns studied the effect of the program on its participants and found that the added income and fresh food home have both made noticeable differences in their lives. 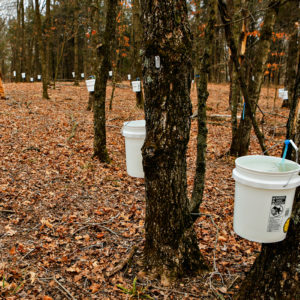 It has also taught them skills that will affect their ability to provide for themselves throughout their lives. “Now I don’t have to worry about [accessing fresh food] because I can do it myself if it ever got serious,” one participant in the study was quoted as saying. Cairns’s research also highlights the lack of opportunity for teenagers in Camden. In her article, she shared participants’ stories of being encouraged to sell drugs instead of working at CFET. She says one youth told her that a student had been approached by a man who asked, “Why you doin’ this for $9 an hour?” While waving a stack of cash, he continued, “Do you know how fast I can make this much money?” Cairns notes how appreciative the participants are to be part of a program that provides options beyond those neighborhood pressures. In 2013, Niedda notes, only three Camden high school graduates who took the SATs were considered college-ready. But things are changing. 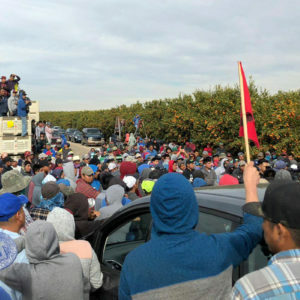 “[Last year’s] senior farmer and assistant farmer are both in college,” she says, while another former participant is majoring in botany thanks to his work at CFET. This is a great article. South Camden Farms is inspirational! How does one buy your Kapow sauce? Is there a mail order? Thanks. Keep up your great work. So inspiring! I am so happy to see this awesome program running for our beautiful youth. So encouraged to share this with our children here in New Zealand. I love gardening as well.